According to the new Catalyst report, Inclusion in Action, Pitney Bowes and other Catalyst CEO Champions for Change companies continue to outpace our global peers in advancing women. 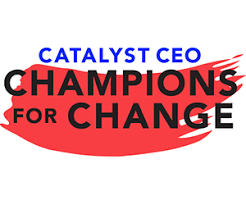 President and CEO Marc Lautenbach currently serves on the Board of Catalyst and was also one of the founding CEOs in the Catalyst CEO Champions of Change initiatives. These initiatives are designed to provide CEOs a public forum to demonstrate their commitment to diversity and inclusion by supporting the advancement of women at all levels of management within the company, as well as the Board of Directors. For the second year in a row, Pitney Bowes and other Catalyst CEO Champions for Change companies collectively have a higher representation of women in leadership positions at every level than our global peers—more women board directors, executives, senior managers, and managers. Together with 50+ other global companies and Catalyst, Pitney Bowes made strong organizational commitments to support diversity, inclusion, and gender equality at work. Specific commitments include advancing the representation of women, including women of color, in senior-level positions and on our board of directors over five years, actively sponsoring a women’s group such as PBWIN (Pitney Bowes Women’s Inclusion Network), and sharing key representation metrics with Catalyst for benchmarking and anonymized reporting of the Champions’ aggregate progress.